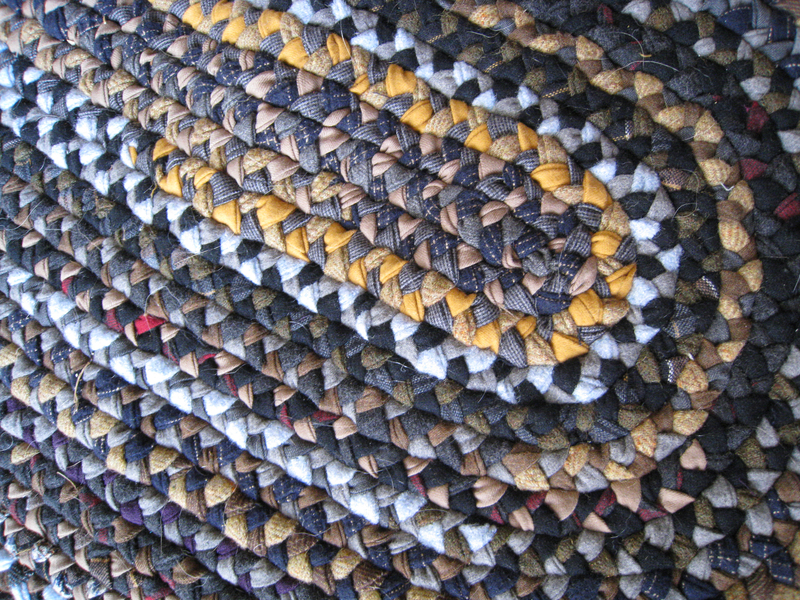 I started this recycled wool rug this summer and haven’t really touched it in months. It became sort of depressing when I realized how long it was going to take me to make a rug big enough to fit the living room. It was taking about an hour to braid 1 yard while tucking the raw edges in and sewing on new pieces every few feet… Then I decided that maybe the online advise I took about NOT sewing all of your wool into long strips (too difficult to work with) and NOT ironing the raw edges down before you braid (just silly) was maybe a little off. So this week I picked this project back up again and in a last-ditch effort to make it fun again I DID sew all of my wool into 3 long pieces and I DID iron all of the raw edges down. This did not take nearly as long as I thought it would. 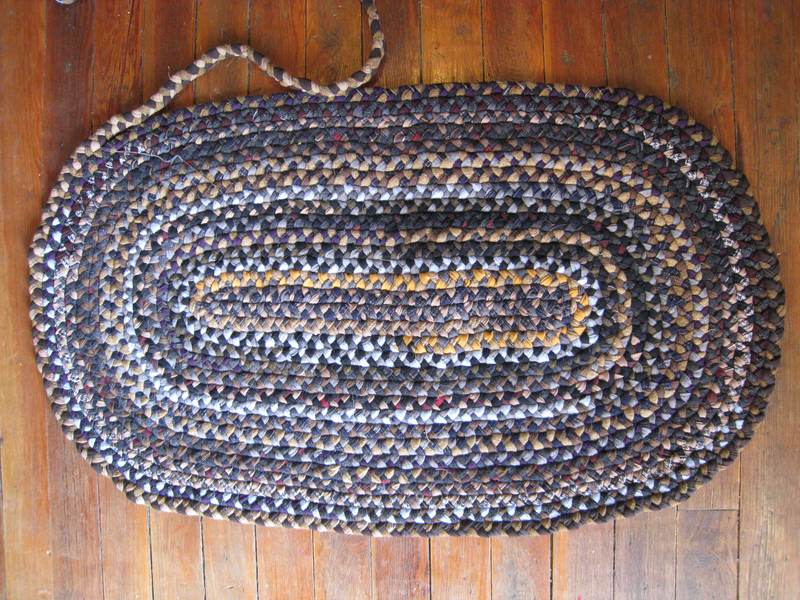 I sewed and ironed 3 huge balls of wool in an hour and braided about 3 yards in 30 minutes. Way easier and faster and actually fun instead of torture. This is about 4.5 feet long so far and ultimately I want to be 10.